Dragon Brown 2019 Kia Sorento LX FWD 6-Speed Automatic with Sportmatic 2.4L 4-Cylinder...This SUV is well-equipped with a 7" inch touchscreen & Rear Camera, Android Auto and Apple CarPlay Smartphone integration, Bluetooth Wireless Technology, Remote Keyless entry, folding 2nd and 3rd row seats, cruise control and Steering Wheel Audio Controls. Plus advanced safety features Blind Spot Collision Warning (BCW) and Rear Cross-Traffic Collision Warning (RCCW). You'll also get great fuel economy 22/29 City/Highway MPG. Just come on in and see how much you get on this SUV here at Oakes KIA. Sparkling Silver 2019 Kia Sorento LX AWD 6-Speed Automatic with Sportmatic 2.4L 4-Cylinder AWD.Snow White Pearl 2019 Kia Sorento LX AWD 6-Speed Automatic with Sportmatic 2.4L 4-Cylinder AWD......This SUV is well-equipped with a 7" inch touchscreen & Rear Camera, Android Auto and Apple CarPlay Smartphone integration, Bluetooth Wireless Technology, Remote Keyless entry, folding 2nd and 3rd row seats, cruise control and Steering Wheel Audio Controls. Plus advanced safety features Blind Spot Collision Warning (BCW) and Rear Cross-Traffic Collision Warning (RCCW). You'll also get great fuel economy 21/26 City/Highway MPG. 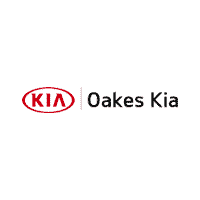 Just come on in and see how much you get on this SUV here at Oakes KIA. Snow White Pearl 2019 Kia Sorento LX AWD 6-Speed Automatic with Sportmatic 2.4L 4-Cylinder AWD......This SUV is well-equipped with a 7" inch touchscreen & Rear Camera, Android Auto and Apple CarPlay Smartphone integration, Bluetooth Wireless Technology, Remote Keyless entry, folding 2nd and 3rd row seats, cruise control and Steering Wheel Audio Controls. Plus advanced safety features Blind Spot Collision Warning (BCW) and Rear Cross-Traffic Collision Warning (RCCW). You'll also get great fuel economy 21/26 City/Highway MPG. Just come on in and see how much you get on this SUV here at Oakes KIA. * Pricing – All vehicle pricing shown is assumed to be correct and accurate. Incentives, credit restrictions, qualifying programs, residency, and fees may raise, lower, or otherwise augment monthly payments. Additionally, incentives offered by the manufacturer are subject to change and may fluctuate or differ based on region and other considerations. Unless otherwise noted or specified, pricing shown does not include title, registration, or tax fees and costs.